It’s the weirdest thing I ever saw. A hole in the ground, filled with water. The most beautiful crystal clear water, turquoise and lovely as a swimming pool. It looks cool and inviting—but it’s hot. Incredibly, insanely hot. 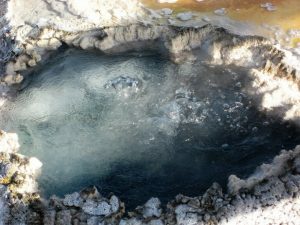 This clear water is steaming and bubbling with the heat from molten rock surging up from the earth’s core. Yellowstone National Park is dotted with these bizarre holes in the ground. Geysers and hot springs and pools. Old Faithful, of course, the reliably spectacular geyser, but also a host of pools and puddles, some no bigger than a good-sized kitchen sink. And they seem to be alive. The water is constantly moving—steaming, gushing, bubbling and vomiting and spitting. It’s easy to imagine that there are demons or gnomes or something living down there, stirring diabolical cooking pots and squirting jets of scalding water and foul-smelling gases up at the gawking tourists above. Some of the pools are striped with incredible colors, reds and oranges and yellows. 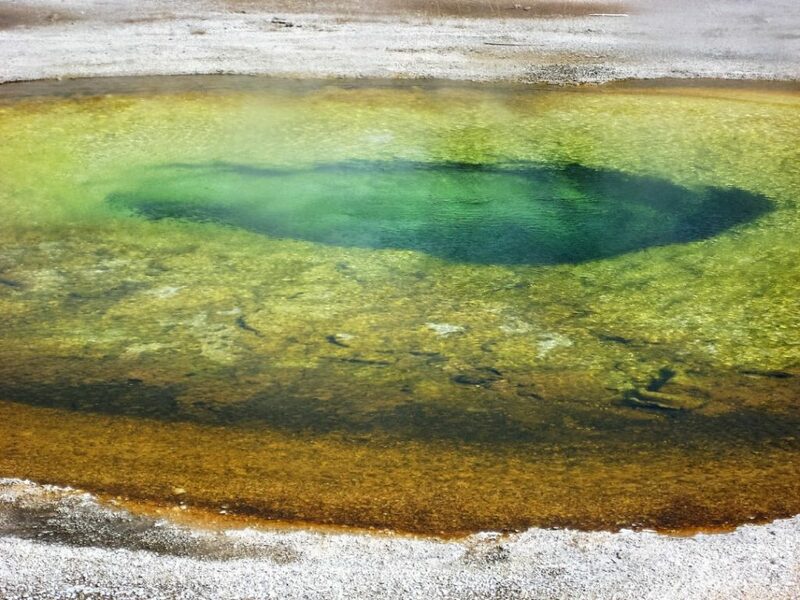 They aren’t caused by mineral deposits or something geological, as you might expect—they’re caused by algae and bacteria–primitive life forms that have been around for billions of years. Cyanobacteria, which give some of the pools a reddish color, thrive in temperatures over 160 degrees. It’s hard to believe anything could live in water so hot it would burn your flesh away. 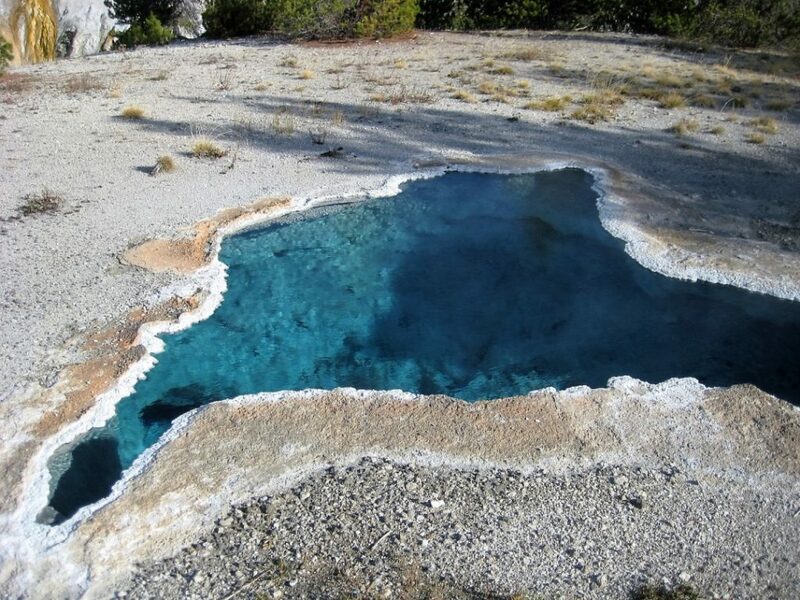 Many people have died in these hot pools, tempted fatally close by the lethal beauty.